The sunny weather has returned after the rain and the summer will likely be warmer than usual, which might be bad news on the wildfire front. Environment Canada and B.C. Wildfire experts painted a picture for a TNRD committee Friday (June 15, 2018) of what to expect during the hot season, and there’s reason to be concerned. Doug Lundquist, a warning preparedness meteorologist, told the emergency management committee the monsoon rain season started later than normal and has ended sooner than normal. The summer is expected to be hotter than normal, with an 80-90 per cent chance of above-average temperatures. Putting a number on it is difficult, said Lundquist, but expect temperatures to be one to two degrees above average. An “incredibly strong” high pressure ridge with tropical and subtropical air will hang over the province during the next few weeks. Temperatures are expected to hit the mid-30s in the coming week. Places like Lytton and Lillooet may hit the 40-degree mark, unusual for June, Lundquist said. He cautioned, though, that hotter than average may or may not mean drier on a day-to-day basis. The heat could be accompanied at times by severe thunderstorms, wind storms, rain events and perhaps a drought. “If you want a weather forecast to be accurate, go to Mexico,” added Hugh Murdoch, a wildfire officer for the Kamloops Fire Zone. But he said wildfire officials have a great deal of confidence in Enviro Canada forecasting in preparing for wildfires. He figures that after a long, wet, snowy winter and a cool spring, Mother Nature will balance things out with a hot, dry summer. He noted that there were already some significant fires in May. The last week of June should provide some clues on what’s in store, Murdoch said. If that week is wet, it will help the trees; if not, it will add to the length of the dry spell. Murdoch said 2017 created an opportunity to increase public awareness of the wildfire hazard. 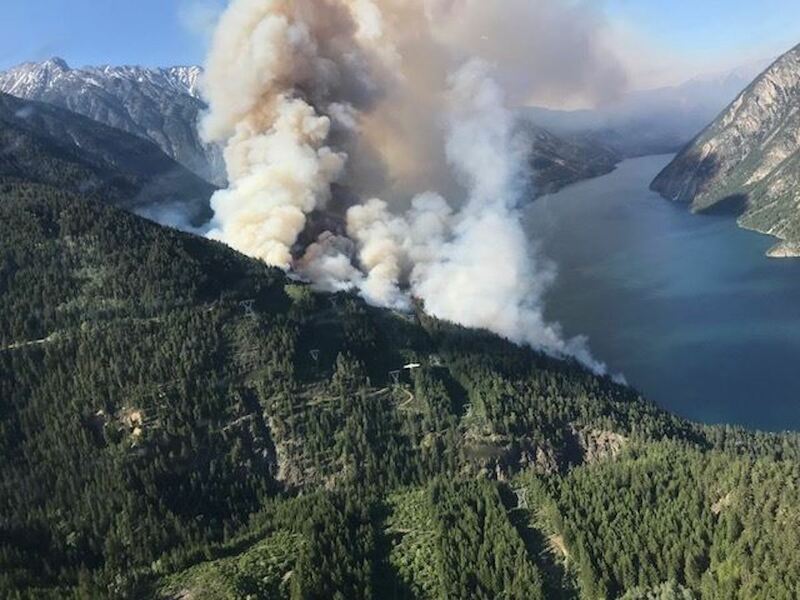 The recently released “New Normal” review of floods and wildfires in B.C. includes a lot of recommendations but Murdoch said he would like to have seen more input from experts. He said those involved in reacting to wildfires need to get away from canned messages and not be afraid to get into details so the public gains a better understanding of conditions and how wildfires act. Murdoch felt evacuation alerts and orders could be expanded to include estimates of how many hours residents will have before they must evacuate, and to provide a rationale for it. One of the main messages from 2017 was the need for more timely and accurate information for the public, he said.